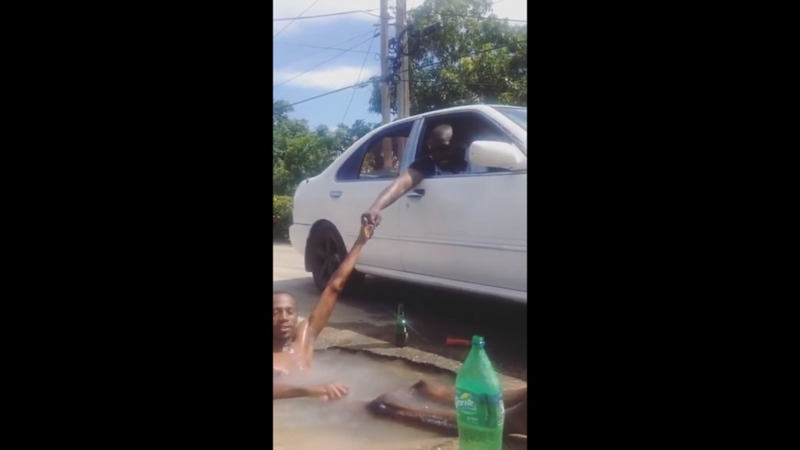 Photo: A leaking pothole in Gasparillo was repaired within hours after Shaquille Forbes' video went viral online. Photo and video courtesy Shaquille Forbes/Facebook. Thanks to the power of social media, one man's video of a water-filled pothole in Gasparillo was fixed in a short space of time. 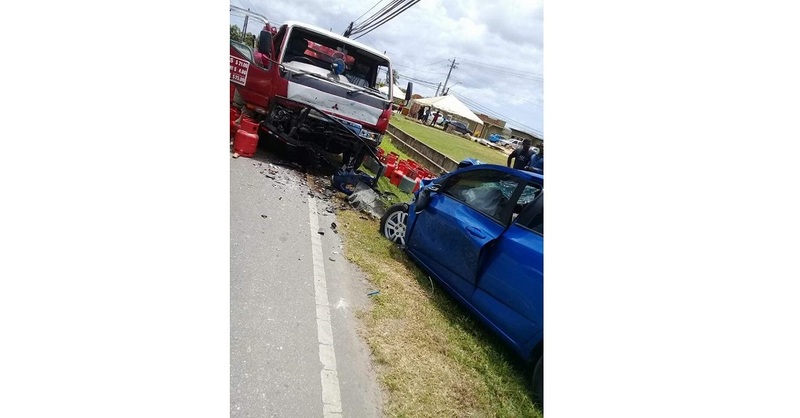 23-year-old Shaquille Forbes, of Parforce Road, Gasparillo, said the roadway had been leaking for three days and as a result, caused a massive pothole which created a deep pool of water. 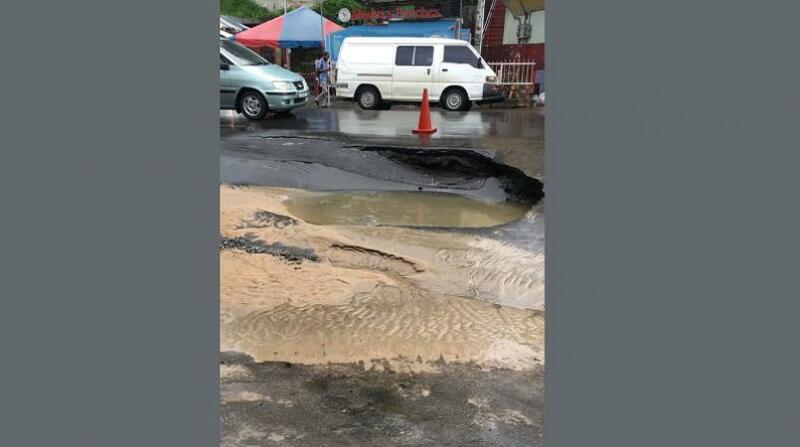 Forbes, with the help of other residents, took to social media to show the depth and size of the massive pothole, which was so deep he appeared to be taking a bath in it. 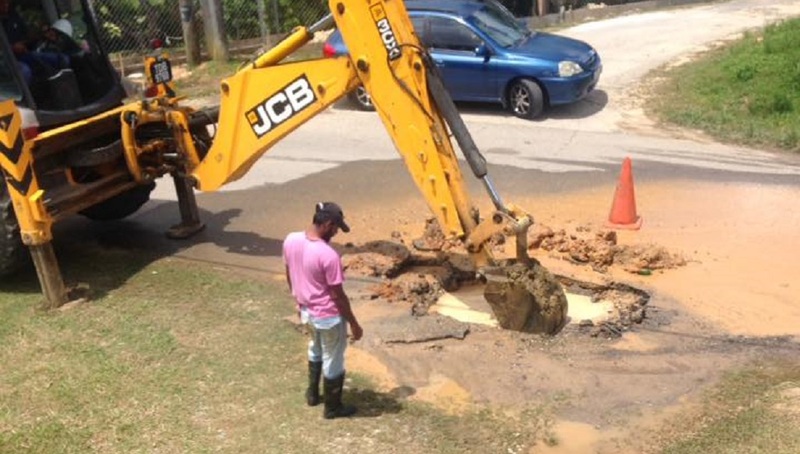 However, within three hours of the video being shared on social media, a team from the Water and Sewerage Authority (WASA) quickly appeared to repair the leak and fill the hole. Forbes, who lives nearby, said to LoopTT that the situation was getting worse and cars were in danger of being damaged by falling into hole, as well as the traffic caused by the disturbance. "Three days now the pothole was there, it was mashing up the road and cars. We called WASA but it seemed like they weren’t coming, so we realised that this is what you have to do to get attention," he said. The idea started with Forbes' neighbour, an elderly woman, asking him to demonstrate the depth of the pool. “My neighbour, called me over, she said 'stand up in the pool, let me see how deep it is', and one thing led to another," he said. Forbes was also sure to have some soap and a refreshing beverage on-hand while recording, and assured Loop that the water in the pool was clean water flowing from the burst main. "To be honest, I always knew that if you want action, that is what you have to do, so we made this video, it goes viral and then it will make its way to the right person. If we didn’t do that it might have still been leaking all now. 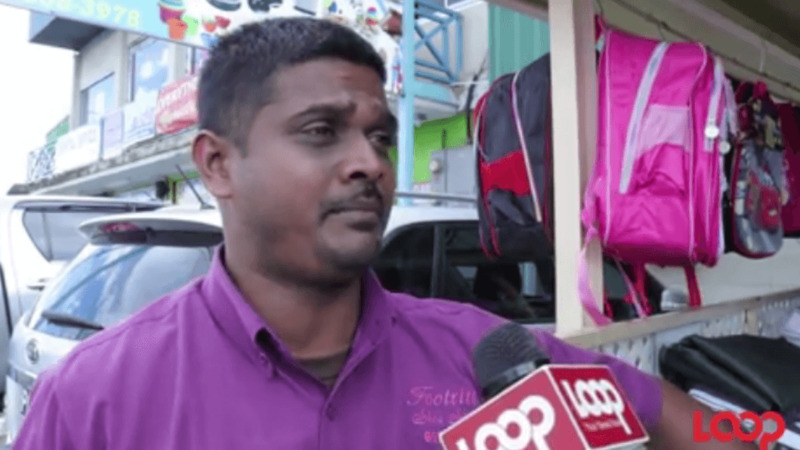 "I find that as soon you report it they supposed to come, or if not today, then come tomorrow, but three days is too long and it was damaging the road," he said. He said he was happy that his video had a positive result. "We have a streetlight that needed fixing for almost a year now, so hopefully they can fix that too," he said. Do you have monster potholes in your area? Let us know in the comments below.